With 195 meetings for associations in 2015, Berlin has risen to the top of the annual International Congress and Convention Association’s (ICCA) host city ranking. It is the central location in the heart of Europe and it is its unique mixture of traditional and modern, of art and culture that makes Berlin so popular. 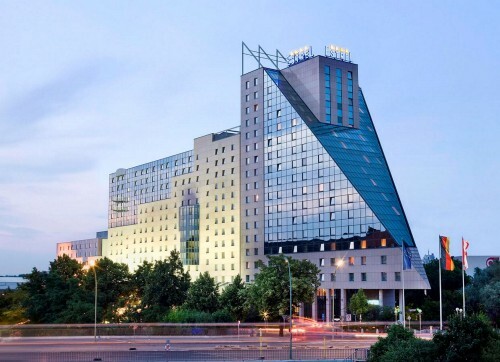 The ICA 2018 will be held in the ESTREL, Germany’s largest hotel. The Congress Centre alongside the ESTREL covers a space of 269,000 sq ft – roughly the size of two football pitches. Space enough to hold the various parallel sessions during the ICA 2018 – up to 11 lectures will be held at the same time. Detailed information on the congress venue will be available in due course. We have reserved a room block at the Estrel for the participants of the ICA 2018. The rooms in the congress hotel Estrel are fully booked from Tuesday, 5 June 2018, until Wednesday, 6 June 2018 . NOTE: The ICA room contingent at the Estrel already expired, meaning that the rooms are available for the public sale again and will not be saved for ICA participants. Participants can still book rooms under the same conditions with the keyword “ICA 2018” if available. You can also reserve a room by email or phone. In that case, please make sure to refer to the booking code „ICA 2018“. A list of several accommodation possibilities has been created to simplify the research process of hotels close to the Estrel building, including all necessary information. Please note that Berlin charges a city tax of 5% on private overnight stays. Kindly clarify directly with the hotel, how you have to proof that you are on a business trip.